How Effective are your Online Training Programmes? As a member of a Learning and Development team, you have probably invested considerable time developing, or purchasing, online training programmes in line with staff training strategies. Purchasing online or e-learning programmes can be a minefield; there’s often so much to choose from and no two training programmes are the same. The hard work is certainly not over once the programme has been chosen or developed however. In fact, the next phase of any online training implementation is often far more demanding. How do you now assess the return on investment? How do you ensure that your training budgets have been well spent and that the online training programmes you have purchased, (or developed) are truly developing your staff skills and knowhow? By fostering a culture for post implementation assessment within the Learning and Development team, then the process of review becomes far easier in the long term. In this blog, we will give you some basic tips to support this process; ensuring that you can take an objective view as to what is, or isn’t, working. Post training learner evaluation is a key step in assessing the value of the online training programme. If learners report that the training content was easily digestible, clear and well presented, then great! If not, use collective feedback over a period of time to assess trends and patterns. Feedback from the immediate end user is crucial and is the first indicator as to training efficacy. Most good online training programmes come equipped with some sort of assessment tool. At the very least, these inbuilt assessments demonstrate that learners have absorbed the information presented to them and that they have not been doing other things with the training only serving to provide background noise. However, although post training assessments of online programmes are great, they only truly indicate an immediate – and potentially short term, understanding. So, how do you check that learning is retained in the long term? In some instances, understanding and retaining a detailed, long term understanding is critical. This is particularly the case for staff where legal frameworks or health and safety are paramount to their working environment. Immediate post training assessments therefore are not always sufficient. In such environments, it’s essential that learners demonstrate a long term understanding of training principles. Assuming that assessment took place immediately after initial completion, it is valuable to then reassess learning after a period of, for example, a few months. This may involve either asking staff to repeat the online training assessment previously undertaken or, creating a new set of scenarios and questions which target the same training objectives. If the results are positive, then great, this demonstrates learning retention and online programme efficacy. If, however, there is a significant drop in learning, then the online programme will almost certainly need to be reassessed or amended. Practical work assessments work incredibly well and demonstrate both short term learning retention, long term learning retention and practical business benefits. Performance matrices which outline expected post training behaviours, enable line managers to evaluate individual team member performance in more robust detail. Again, where staff perform well, then the online training programme has achieved its objectives, but, if staff generally don’t perform as well as expected then revisions are needed. Line managers are the most valuable source of feedback and creating a culture of regular line manager interviews to gauge perceptions of staff performance post online training will provide some of the most reliable feedback. This layer of feedback should be generic rather than individual specific and questions should probe the degree to which the manager feels his / her team have developed. Although the basic steps outlined above go a long way in evaluating online training programmes, a formal return on investment calculation is also essential. 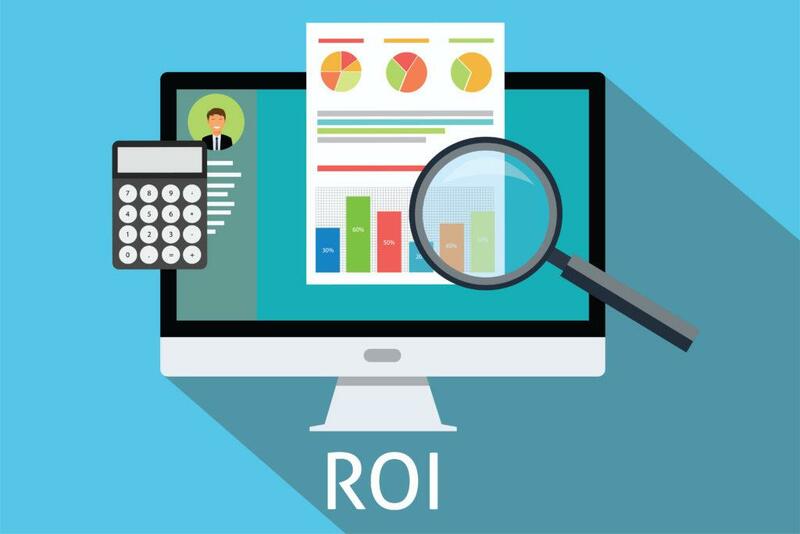 By calculating the cost for either individual training licenses, or online training development costs against relevant business factors such as sales figures, health and safety compliance, accidents or customer complaints, then you should have a fairly comprehensive way of assessing the degree to which the online programme has been worth the investment. As Learning and Development teams are increasingly required to demonstrate the benefits of online training on bottom line business financials and business performance indicators, then justifying training interventions through efficacy measures is essential. The steps outlined above are a very simple and basic way to get started.